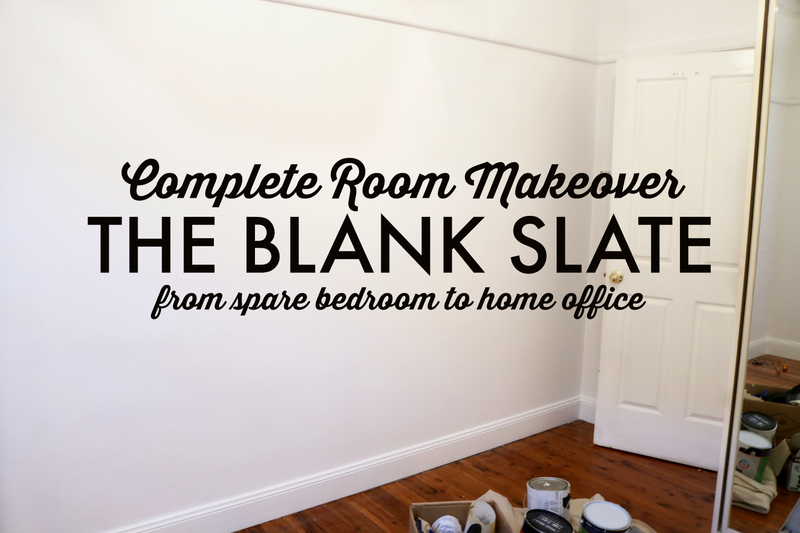 Okay, so now you've seen the before photos, you've seen the prep work - and today, I'm showing you the blank slate. The walls are painted and everything is ready to decorate once we get back from Hawaii tomorrow! I'm actually really glad I had all of this done and ready for when we got back - because now I am actually excited to get home instead of having the usual post holiday hangover! 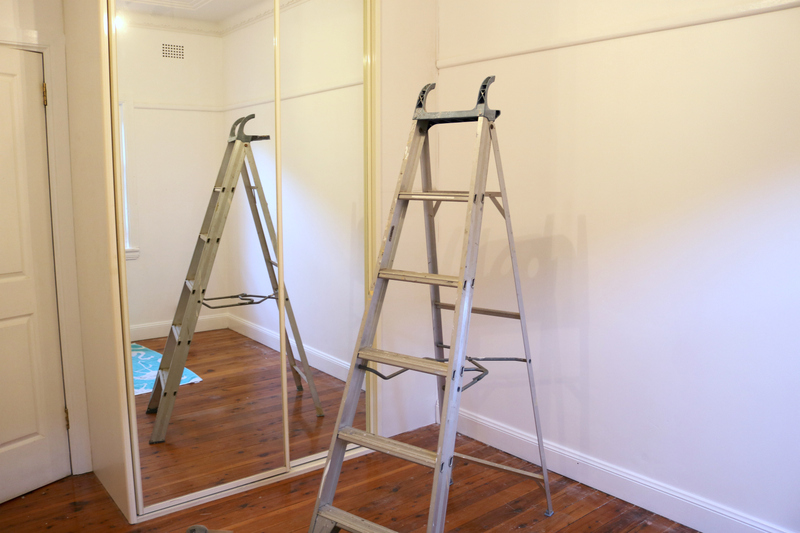 To recap, we had Airtasker Painter come in and prep and paint the room for us as we were totally overwhelmed after starting the prep work. The room had previously had a leak in the roof and moisture on one of the walls and the paint had peeled away - leaving a big ugly hole that we had no idea how to patch. A guy at Bunnings had totally scared us into thinking it was a mammoth task by selling us the wrong product and we had just left the room as we waited to pluck up the courage to tackle it. Luckily that courage didn't arrive before my impatience and I put someone else to work instead. Fast forward to today and the job is done - and this is the blank slate we have to work with. The plan is to have two big desks running the entire length of the wall the window is on. That's first on my list of things to buy as the room is quite small and I don't know how overwhelming the desks will be. The plan is to first buy and place the desks - and then decide what we want to do with the rest of the room. At the moment, the rough plan is to have a reading chair and rug in front of the wardrobe with bookcases/storage behind. We are also planning on redoing that wardrobe - taking off the doors and turning it into more of an open storage space as the doors that are currently on there aren't actually the right fit for the wardrobe (you can't access the middle section of the wardrobe) which renders the wardrobe almost completely useless - and I'm not really the biggest fan of the mirrored doors. But that's the final step of the project - once we've got everything else sorted. So there you have it, a blank slate ready to redecorate. I am super excited to jump into it once we get back as my head has been filling with ideas the whole time we're away! Whilst I was a little overwhelmed by what I should write in my ad at first, once I got that sorted the process was really easy. I received a lot of offers on the project and then simply sifted through to find the right person. 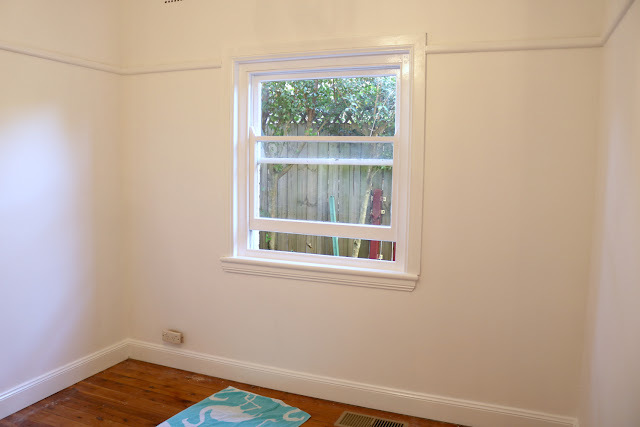 Obviously, this is an individual thing as the quality will vary depending on the Airtasker you choose. 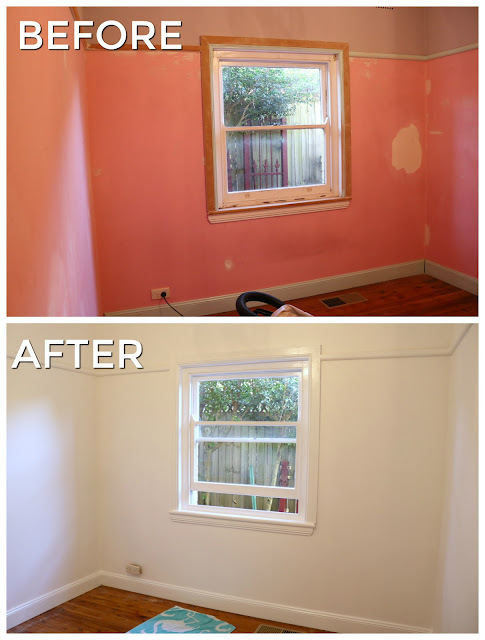 We were pretty happy with our Airtasker - but once the paint dried, there were things that we weren't so happy about. Little things like the fact that he didn't use the primer on the woodwork and instead painted straight onto the wood which meant the green colour bled through. Luckily because we have the paint we can just go over it with a final coat once we're back from Hawaii - but if we weren't able to do that, that would have been frustrating. Painting aside, he did a great job of patching up the walls - there were just a few details lacking. Would we use Airtasker again? Yes - but I'd be a little more careful with what I told them to do - like making sure the woodwork had an undercoat etc. And, I mentioned it in my previous post but I'll mention it again; if you want to use Airtasker for any future projects you can use this link for $25 off. Note: I will get $10 of Airtasker credit if you use the link - but you don't have to pay anything extra - and you can then use your link so your friends can save money and you can earn credit too. But tell me, when you're redecorating or moving into a new place, do you like to get everything sorted all at once - or do you like to go step by step to make sure everything is right like me? And, if you could repaint any room in your house, what room would it be - and what colour would you choose?